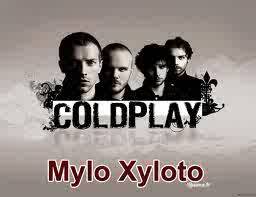 I gifted the latest CD of Cold Play, Mylo Xylato, to my brother. He studied the titles. I made a remark. He looked shocked: "are you mixing Cold Play with Jonathan Franzen?" "Well, yes....they both speak of birds." He read another title: Charlie Brown. I followed with my idea: "...and Franzen has chapters on the Peanuts in his Discomfort Zone". I played the CD for my eldest for the first time. I wanted him to experience it the way I had done TearDrop in June. Listening to a song by your favorite band is like a first kiss. It is exhilarating. I didn't tell my son that because he is too young. But I commented: "sit back, the familiar voice, the guitar, the lyrics, listen, it sounds familiar but it is new and you will never hear it the same way again. The first time is so exciting!" My husband gave the band Example a chance. Listened to the CD and said rightfully: "these songs have the lifespan of lettuce. None of the music is theirs." 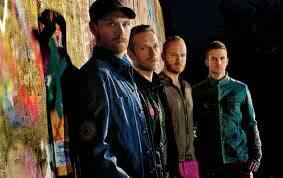 The opposite can be said of Cold Play, who line up with the Rolling Stones and U2 as super rock bands. I quote my brother: "Cold Play is U2's child." The music of Cold Play is so complex, I believe I cannot hear the nuances till I have listened to it 100 times (which I gladly will do). And the poetry.... The simple statement of "the sky is blue" sung in languorous melody. The images of "I prefer to be a coma than a full stop" or my very favorite: "I am in a gap between two trapeze". 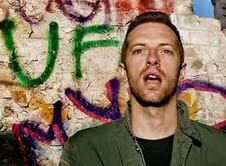 Chris Martin sings of disequilibrium, of connection, of this second when a human can defy gravity in defiance. The album as a whole celebrates an aquatic paradise. Tears and waterfalls wet every song. Yet, its an upbeat album, with my favorite quote: "a spark in a sea of gray." Poetry! Lucky for the PT blogger that she has a music- oriented brother,who resprucates her audience appreciation for his jokes and sometime awkward behavior.I guess life is a give and take,not a one way street. This piece was very well written and you captured the essence of the album very well: disequilibrium and hearbreak....tears that are like a waterfall. Once I wrote about tears that filled the kitchen sink in a poem....I relate to Coldplay's imagery. I would add that they also sing of fairy tales, those not of little children but of teenagers. Think of the words in Paradise....and even more "princess of china", the collaboration with Rihanna.....he writes of princesses and kings and once upon a time....I remember Hans Christen Anderson! Every once and a while, an album merits stopping whatever it is you're doing, sitting down, and listening to the music and lyrics. 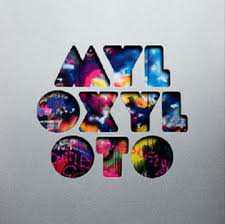 Mylo Xyloto is that album!